COME VISIT OUR NEW U-PULL-IT YARD! Last entry 1/2 hours prior to close. $2.00 cash only entry fee (ATM available). Must be 18 years or older to enter or 16 years old with an adult to enter yard. Closed toe shoes must be worn to enter yard. Children under 16 are not permitted to be in waiting area unsupervised. See Section H for policies. Bring your own hand or battery operated tools. We have tool sets for rent, but may not include all the tools you need to pull certain parts. There are no power outlets available or air connectios in the U-Pull-It yard. A flashlight may be handy for those hard to see areas. A lubricating spray like W-D 40 can be helpful for loosening parts. Rental quantities are limited and on a first come, first serve basis. Free with your paid entry! These are furnished on a first come - first serve basis and availability cannot be guaranteed. Please return all wheelbarrows to the pick up location as you leave the yard. Look up the parts you are pulling on our website to see how much they cost. Some part types are the same price no matter what year or model of vehicle. 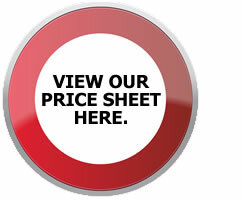 View our price sheet here! If you don't find what you are looking for in our U-Pull-It yard, see a salesperson at the counter for a search of our Full Serve yard. Most parts are available for pick up same day. Please ask! We are here to help! If you are not satisfied with the part you picked, most parts are eligible for a store credit if returned within 30-days. You must have a valid receipt and the part must be marked. Make sure you have yoru part marked by a CAS employee after purchase in case you want to return it. Core returns may be refunded if returned with 30-days accompanied by the original receipt. We offer extended warranties on all of our parts! For an additional 30% of the part purchase price, you can extend your U-Pull warranty up to 90 days. Let the salesperson know you want this option added at the time of checkout. Warranties may not be added after the time of the sale. No labor coverage is included in the extended warranty for U-Pull parts. 1. No one under 16 allowed; 16 must be accompanied by an adult. 2. Closed toe shoes are required; gloves and safety goggles are recommended. 3. Torches and jacks are not permitted. 4. No unmarked car parts are allowed in the yard. 5. No pets allowed; only certified service animals. 6. No alcohol or firearms. 7. No backpacks or cameras/video equipment allowed in the yard. 8. Video and or audio surveillance is in use for your protection. 9. Working on vehicles on the premises/in the parking lot is strictly prohibited. 10. We accept cash, Visa, Mastercard, Discover, and store gift cards as payment for parts. 11. Any parts not needed should be left with the vehicle they belong with as a courtesy to fellow customers. 12. Tool boxes will be inspected upon entering and exiting the yard. 13. Environmental fees will be added to qualifying part purchases. Cocoa Auto Salvage assumes no liability for any person or personal property entering the premises. Cocoa Auto Salvage reserves the right to refuse admittance to anyone that in the judgment of CAS or any of its representatives apepars to be impaired and/or represents a safety concern to themselves or to others.